Laminar knapping is a system of methods through which a recurrent series of elongated and morphometrically repetitive blanks are obtained. The appearance of this method is associated with cognitive changes that foster different paleoanthropological discussions. This article assesses the implications of the 497D lithic assemblage of Cova Gran (Northeast Pre-Pyrenees, Iberia), whose technical principles place it within the laminar knapping sphere in which the production of blades, bladelets, and flakes are interspersed. Refitting dynamic approach allows establishing physical connections, reflecting volumetric reduction integrate sequences of sequential blanks organized by the principle of technical predetermination. Techno-typological, contextual, and chronometric attributes enable the integration of 497D within an initial phase of the Upper Paleolithic. This is an important point; although laminar knapping is widely dispersed in space and time, it marks the emergence of anatomically modern Homo sapiens associated with the Aurignacian (sensu lato), a tradition marking the beginning of the Upper Paleolithic. This concept has been challenged by the proposal that the Châtelperronian laminar technocomplex was made by Homo neanderthalensis. These opposing positions fostered the Middle-Upper Paleolithic “transition” debate. Technical traits identified through refitting facilitate examination of similarities and differences between 497D and the Proto/Early Aurignacian and Châtelperronian. 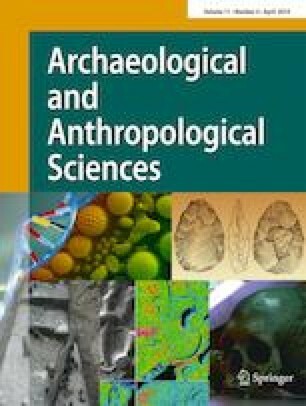 Observations arising from refitting in 497D influence characterization of the knapping method and its possible correlation with one of these Early Upper Paleolithic technocomplexes. These inferences broaden the goals usually associated with blade knapping, and encourage reconsideration of the classical definition of the laminar system. The online version of this article ( https://doi.org/10.1007/s12520-018-0726-3) contains supplementary material, which is available to authorized users. Refit photogrammetry and 3D animation was undertaken by Sandra Caballero of CEPAP. Francesca Rogmanoli y Manuel Vaquero, organizers of the workshop The Big Puzzle 30 years after: shared, multidisciplinary, Paleolithic perspective supported by the Wenner-Gren Foundation (Ref: Gr CONF-737) that fostered an ideal atmosphere for the exchange of experiences in refitting analysis. Cova Gran de Santa Linya is part of the project Human settlement during the Upper Pleistocene and Holocene in the Southeastern Pyrenees (HAR2016-75124) and the 2017SGR-1357 research group. Fieldwork was funded by Serveí d’Arquelogía- Generalítat de Catalunya. We thank the support given by the Institute for Field Research and the kind permission of the Societat de Munts de Santa Linya to authorize the excavation in Cova Gran. Likewise, the authors thank two anonymous reviewers for contributing to ameliorate the manuscript.